The first place the Mr and I lived after we were married was a miniature white house owned by a cute older couple: Walter and Hazel. 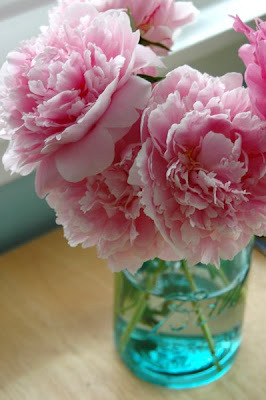 Hazel loved peonies, and a full third of the large garden plot was devoted to them. Thus I have a large and sentimental spot in my heart for peonies and was happy when this catalog landed in my mailbox. It' s always nice to humor my unfulfilled inner gardener. Still longing for dirt of my own!